I was unprepared for the magnitude and quality of stuff on display at LACMA's exhibition of filmmaker Guillermo del Toro's monster memorabilia collection. This just might have been the best museum exhibition I've seen. 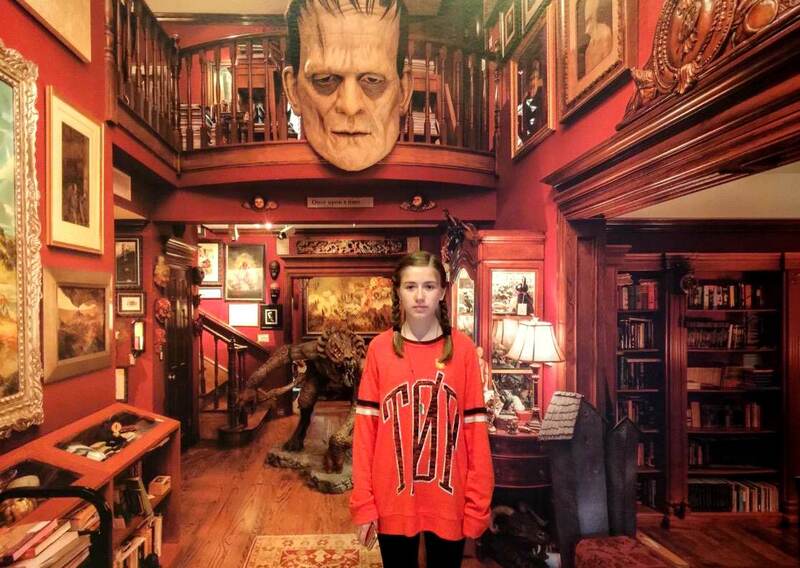 The exhibition is called At Home With Monsters, and it contains hundreds of paintings, costumes, books, comics, props, monster magazines, statues, and other curios related to horror, science fiction, occultism, magic, and monsters, all selected from del Toro's personal collection. It's a fangirl/fanboy's dream come true. If you are into this kind of stuff, it's worth planning a trip to LA to see it. The exhibition closes on November 27. Del Toro has a new book coming out later this month, called Guillermo del Toro: At Home with Monsters: Inside His Films, Notebooks, and Collections. Here are some photos I took when I visited with Carla and my daughter.